Truth be told, this wasn’t a post I intended to write today (possibly ever) nor was it a post I thought I’d publish but as this dreary month of January slowly drags to its end, I’m ready for a fresh start by documenting my new intentions and changes for Polkadot Pink in 2018. With its smorgasbord of wintry weather, January provided me with plenty (if not, too much) time for introspection and quiet weekend days spent under a blanket: reading, writing and mulling things over. Quality reflective time to consider the choices I’ve made for myself and this blog in the last few months, possibly years. Choices that have steered it in a direction to a location quite different to where I intended or wanted to be. I’m sure this is something all bloggers experience, at some point, but for me the experience made me feel as though I was losing my voice. I simply wrote less and thought more, much too more. These considerations weren’t new to me, there was no light bulb moment of realisation – they’d been bubbling in the back of my head with every decision and choice I had to make, each event invite I RSVP’d to and each new opportunity I’d consider. While it may come across as a negative period, it was actually very positive indeed, almost cathartic, and enabled me to set myself some clear boundaries. Continue to enjoy doing what I’m doing and document more of what I love. Simple, really. I’m sure there’s a more eloquent way of putting it but in its (slightly corny) simplicity, there’s truth. This simple revelation means I’m back on the road to getting my blog back to the escapism hobby it once was and developing content that reflects who I am as a person. 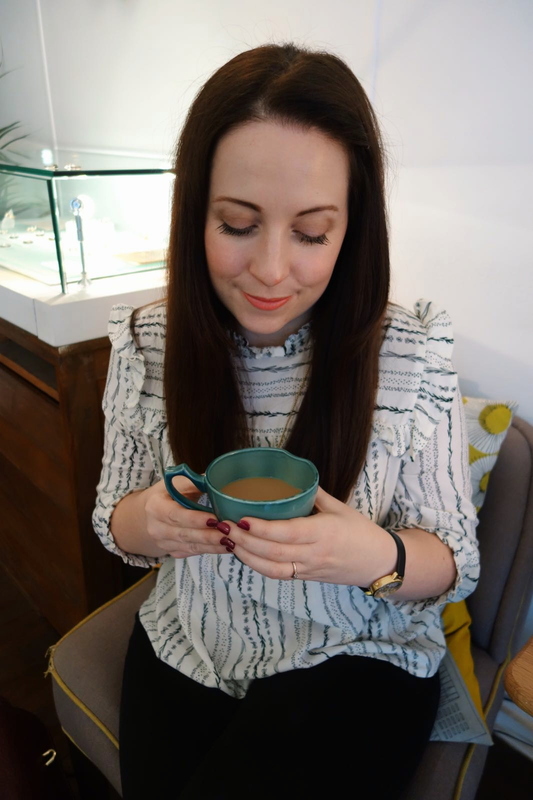 I’ve always remarked that blogging is cyclical, but it still makes me smile at how I really have gone back to my lifestyle roots. In 2017, I was so glad to have discovered Morgana’s #LittleLoves weekly link up. It inspired me to write regularly, document the every day alongside my travels (I’m reluctant to use the word, adventures) and these posts were probably my favourite to write. In 2018, I want to continue to document the ordinary but will branch away from #LittleLoves (it’s not you, it’s me) to begin something unique to me: a personal monthly series entitled ‘Life Through a Lens’ (working title) with the aim of revisiting my captures that month and writing a monthly review based on them. Whether it’s on instant film, camera phone or my Sony Alpha 5000, I’ll focus on sharing my monthly goings on but selfishly – it’ll be my record of each month to look back on at the end of each year. I also want to write more about my travels. Last year, I travelled to some relatively unusual places and sometimes more than once: Zagreb, Calpe, Lake Bled, Obidos but also, well-documented locations such as Lisbon, Ibiza, Ljubljana and The Algarve, but they never made it here onto the blog. Don’t ask me why, I have no idea. And, it’s not just on my online space where I’ll be documenting more. I’m actively trying to write more with pen and paper, purposefully writing each day. One of the easiest ways has been in my ‘One Line a Day’ memory book. Although my writing will need to get smaller and smaller as I try to squish more exciting times in, I’ve also reverted back to having a journal (teenage me would be so proud). Contrary to my own need for neatness, I have to tell myself that it has no place: it’s more important to record. I spent much of 2017 feeling apologetic for being the shy, introverted person I am: I was stuck in a cycle of feeling as though I wasn’t enough and on occasion too much (talk about irony) with no ideal balance to be found. It weighed me down and so I clammed up. For someone who claimed to identify as a positive thinker, I was consumed with negativity. So, I’m going to continue doing what makes me happy, embrace my habits (Saturday morning coffee shops and nights spent reading under a blanket) and attempt to silence and ignore any of my inner negative self-talk. Let me preface this by saying schedules have their place for some people. For the aspiring professional blogger, or the someone who’s pushing their blog for maximum exposure, or maybe the blogger who loves organisation – a schedule is a necessity. If that’s you, I’m in full support (and awe). But what if you’re like me have no intention of blogging full time? What if you’re perfectly happy flourishing in your 9-5 career and proudly owning your title as a hobby blogger? What does a schedule have to offer you then? For me, stress. That’s what. I know some people schedule their content weeks in advance. I admire them, but it’s not for me. There’s nothing that stifles my creativity more than trying to post certain content on certain days. I find it too restrictive, especially when I walk through the door past 7pm feeling the pressure of a ticking clock. It’s not for me. By letting go of a schedule, I found that I was more productive! I’ve been no stranger to talking about my wedding on Instagram by posting small updates in my captions. So many of you have directly messaged me to ask about the progress of my quest for the dress, or how I’ve coped with the whole wedding shop experience (as a proud introvert with slightly alternative taste) or simply to tell me of their experiences – a spark of creativity was fired and I realised how much I want to share all of the wonderful moments I’ve had on the journey to planning our Slovenian wedding, so far. So, there you have it – four very simple expectations to remind myself of my overall plan for 2018, if I should ever falter or find that negative voice speaking a little too loud.